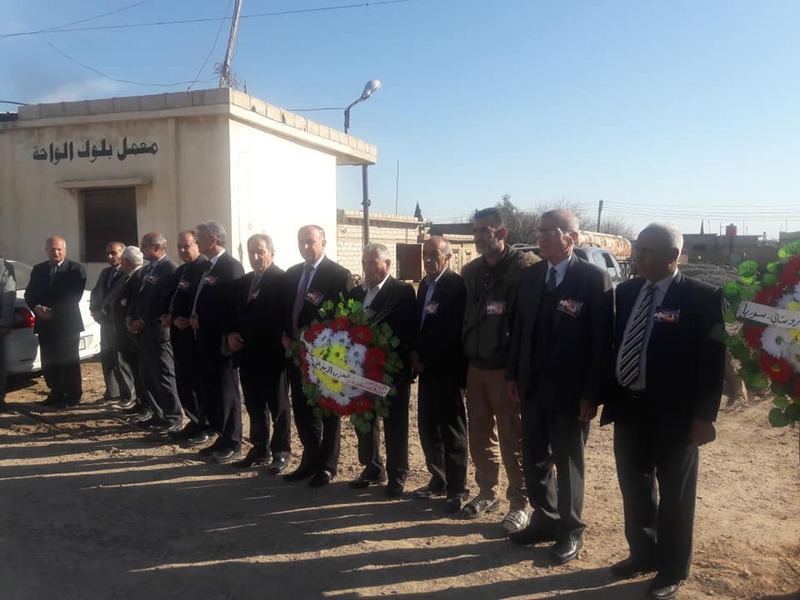 On Wednesday, March 20, 2019, the Yekiti Kurdistan Party in Syria commemorated the 33rd anniversary of the martyrdom of Suleiman Aady by visiting his shrine in the city of Qamishlo. The event was attended by the martyr’s family and leaders of the Kurdish National Council (ENKS). After reading Surat al-Fatiha and placing a wreath on the tomb of the martyr Suleiman, a member of the Political Committee of the Yekiti Party, Hassan Saleh, addressed the crowd about heroic death. In 1986 the young Suleiman Ady participated in a demonstration in Damascus protesting the Syrian regime for banning the celebration of Newroz, the Kurdish New Year. Ady was shot dead by Syrian security forces during the protests. The following year, former president Hafez al-Assad recognized Newroz without naming it. He made declared March 21 as a national holiday for Mother’s Day, which coincides on the same day. Saleh of Yekiti praised the family of the Ady, which also happens to have been stripped from Syrian citizenship – as part of the Exceptional Census campaign against the Kurds in 1962. Saleh also pointed out that the occupying regimes of Kurdistan have repeatedly tried to prevent the celebration of Newroz, as does the Turkish occupation today in Afrin. The member of the political committee of the Yekiti party recalled in his speech the three martyrs of Newroz on the night of March 20, 2008, the martyrs of Newroz in Hasaka in 2015 and the martyrs of the Halabja massacre in Iraqi Kurdistan.